In a stringent act, Chief Election Officer of Madhya Pradesh, V L Kantha Rao has asked for names of 80,000 voters to be struck off. These are people in the state against whom non-bailable warrants have been pending for six months. The police haven't found them at their mentioned addresses either. In view of the assembly polls in November this year, the chief election officer (CEO) of Madhya Pradesh, V L Kantha Rao, told media that the commission is very serious on the issue of fake voters and several names are being struck off after careful verification of voters. He said that state election officials had a meeting with the Home Department who told the officers that close to 80,000 non-bailable warrants are pending. These citizens are not reachable by police as they are found to be not residing at the the addresses mentioned by them. Kantha Rao added, election rules stipulate that names of absentees like these should be removed from the electoral rolls. Election Commission has identified over 13 lakh fake voters in Madhya Pradesh after a complaint by the opposition party of Congress. Out of these, nearly 10 lakh voters' names were struck off after a door-to-door verification process was conducted. Approximately 1.8 lakh voters were confirmed to be genuine. During the revision and correction of voters lists, the elections officials removed some 24 lakh names out of which many were done on the request of the voters and on account of death of individuals. Over 11 lakh voters have been added during this period while 13 lakh voters applied for correction in details like name and address. Over 4,94,42,791 voters in Madhya Pradesh will vote from 230 assembly segments during the polls. Out of these 2,34,88,770 are female and 1,286 voters have registered themselves as third gender individuals. The Commission is preparing for the election on a large scale by ensuring that no government employee serves at the same place for more than three years. The state election office has told the state government that no employee should be allowed to function from his home-town and those posted to a place during last election should be transferred. The state chief election officer will send a report to Election Commission on August 3. In a first, over 10000 CCTV cameras are being installed across the state to effectively use Crime and Criminal Tracking Network and Systems (CCTNS). These cameras will be installed to monitor model code of conduct at the drop gates of polling booth, check posts and barriers at inter-state borders. 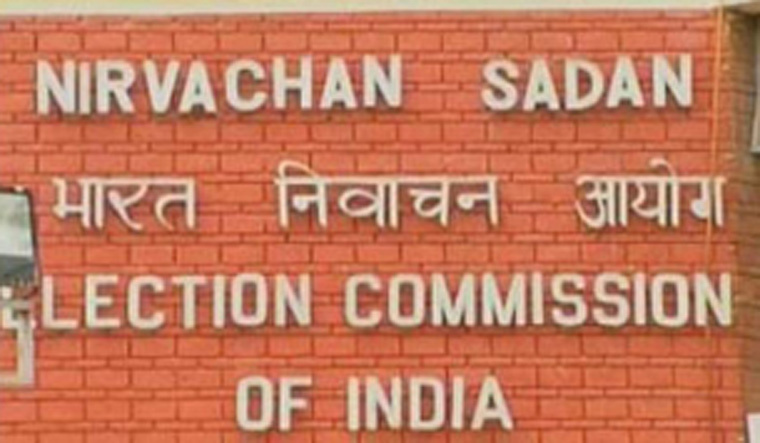 The Election Commission of India is taking the elections in Madhya Pradesh very seriously as the chief election commissioner O P Rawat is a Madhya Pradesh cadre IAS officer. Recently, the Commission removed CEO of Madhya Pradesh Salina Singh and replaced her with V L Kantha Rao.